From a coldly logical, scientific, and evolutionary standpoint, the most important thing a person can do in life is to bring children into the world, protect and raise them until they are ready to go out into the world, meet someone special, and have children of their own. Biology teaches us that this means we have done our part to ensure that the species will survive. If we take the logical and evolutionary perspective, then our job is finished when the children mature and start their own families. Then we receive an unexpected reward for the tough work of raising our children, we get grandkids. 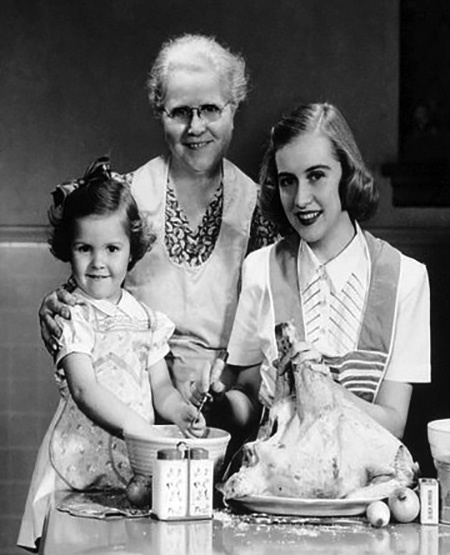 Some commentators point out that grandparents have the privilege of spoiling the kids and when they get to be too difficult to deal with, handing them back to their parents. Sometimes this is seen as small-scale revenge for making your parent's life difficult. In some cultures, the job of actually raising the kids belongs to the grandparents, which actually makes a lot of sense in certain contexts. People of childbearing age can be the most productive part of the labor force if they are allowed to direct their energies toward hunting, gathering fruits, working in the fields, or in an industrial pursuit like weaving or factory work, while the elder members of the community can contribute by riding herd over the expanding group of cousins who need some level of loving supervision to keep them out of trouble. 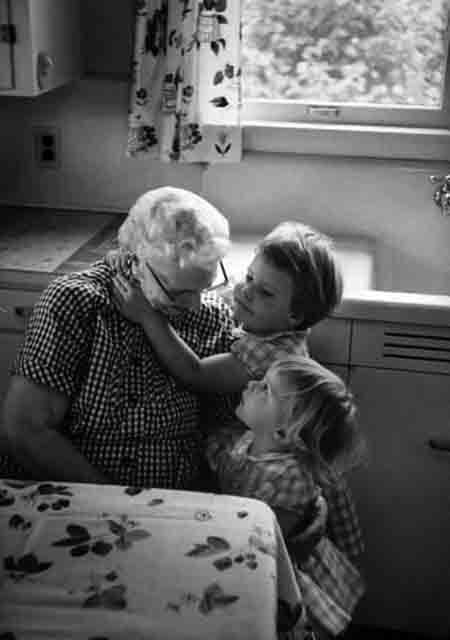 As we are coming into the prime of our own lives, we often find that our beloved grandparents are reaching an age of infirmity and will soon begin to need our support, perhaps even more than we needed theirs when we were young. Not only do the minds and bodies of the elders begin to break down, but as families spread out oldsters can be targeted by nefarious individuals who would take advantage of easy prey. Seeing our grandmother victimized can be even more painful than if we were the victims. Boston Blackie, Casey Crime Photographer, and Johnny Dollar each get the call to help get someone's grandma out of trouble in this collection. Sergeant Joe Friday comes up against a different sort of crook who takes advantage of her grandmotherly looks to get away with passing bad checks, a scam she has pulled for nine years! That grandmotherly persona worked as a form of marketing for the artist Grandma Moses, whose art career didn't take off until she was well into her seventies. The Riders of the Purple Sage on All-Star Western Theatre meet up with a Granny who is an artist with apple pies, but the pies have a deadly surprise. Sergeant Friday swoops to the aid of a little girl and her grandpa after some crooks run a scam and sell all the furniture from his house. Bobby Benson and the B Bar B Riders encounter a grandma with a lot of moxie as she is driving her tin lizzie (named Elmer) across the desert. In every case, the power of the story is found in the love between grandkids and grandparents. Be the first to comment on "Grandparents"